When it comes to Hollywood, there is always room for talent, no matter how young or inexperienced you might be. The Acting industry as defined by Hollywood is established purely on the actor or actress’ ability to deliver amazing performances on screen. This is exactly why Sorcha Groundsell has risen to become one of the most talked about names in Hollywood as a result of her performances in the Netflix show, The Innocents. Ms. Groundsell has only been a professional actress since 2014 but has still managed to become someone of note due to the sheer quality of her work. In that short period, she has delivered notable performances in shows like Thanks for the Memories and Clique. Sorcha Groundsell’s career as an actress so far is an inspiration to aspiring actresses and actors across Britain and the rest of the world. 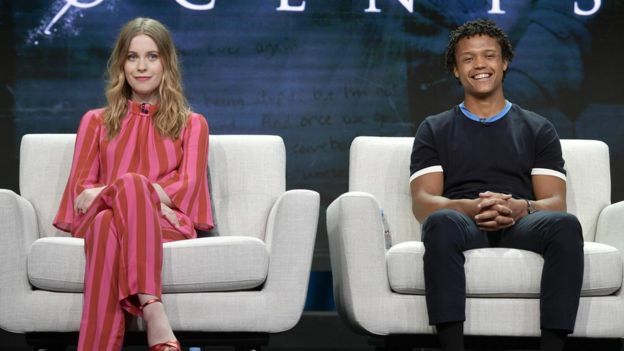 The Innocent’s actress has been able to overcome the educational challenges and discrimination of her background to star in one of Netflix’s popular productions. She was born on the 15th of February, 1998 in Isle of Lewis, Scotland. The actress, who was born in a country where theater experience and background are a necessity in building a successful career, dropped out of school at the age of 18 with zero experience in stage acting to pursue a professional acting career. Being a young actress with a budding career, there is still plenty that is unknown about the life of Sorcha Groundsell, including the identity of her parents and the potential existence of siblings. However, we do know and believe that she managed to conquer the challenges of her decision to drop out of school and lack of experience in stage plays to earn her professional acting credit with the support of her parents. Since she made her debut in The Scribbler in 2014, Sorcha Groundsell has appeared in over 10 films and TV shows, including the one she is most popular for till date, The Innocents. When you are convinced of your dream and you have the necessary passion and talent to back it up, failure and disappointment are temporary delays. It is a fact that manifested in the career path of Sorcha Groundsell who, after losing out on many roles after several auditions, finally got her chance to star in her first onscreen project, a short film titled The Scribbler. The Scribbler, where Sorcha played the character Anna, turned out to be a good launching pad for her. She followed up her debut performance with two credits in 2015 – Iona and Sleeping Lions. While Iona became her first appearance in a feature-length movie, Sleeping Lions was another short film. She played the character Sarah in the former and Mia in the latter. Her only credit in 2016 came in her debut television show appearance, In Plain Sight. In the show, Sorcha Groundsell played the character, Jane Muncie and she starred in three episodes of the miniseries. The following year, she had a long run in a television show by starring in Clique as Elizabeth Smith. She played the character in six episodes. In 2018, Groundsell got her most notable role yet as the character June in the Netflix show, The Innocents, appearing in eight episodes. She appeared in Thanks for the Memories and two short films, Sunday Tide and Skipper in the same year. One only need to take a quick look at Sorcha Groundsell and one would not see the challenges she has been through as an aspiring actress. With a height of 5 feet 5 inches and a body weight of 55 kg, the Clique actress has a beautiful body that houses features like blue eyes and blonde hair. She also has a body measurement of 33-24-33 inches, measuring her bust, waist, and hips. 1. She considers Ryan Gosling and Emma Stone her favorite celebrities. 3. Within a short period in the industry, she has been able to grow her net worth to over $500,000. With a long career ahead of her and successful shows like The Innocents, she is expected to be worth a lot more in the near future.